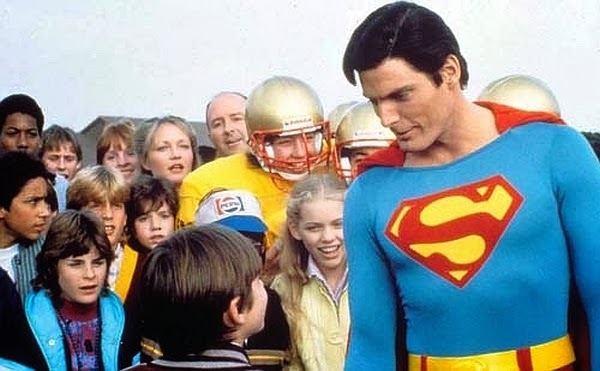 Home / Christopher-Reeve / Hailing-Frequencies / Poll / superheroes / Superman / Superman-IV / Discussion: Which Superhero Should Be a Role Model for Kids Today? Discussion: Which Superhero Should Be a Role Model for Kids Today? Hailing Frequencies: Which superhero is the best role model for kids? Superheroes have been around for decades and generations have been inspired by them to do great things. Who do you think should inspire this generation of kids and why? Please post a picture or clip of the superhero in question. And then please list the Name, and Why they're a good role model for kids. I can't wait to hear what you guys come up with! Note: If you need help adding a picture or video to your comment please read this Disqus article "Adding images or videos to comments." If you still have trouble then let us know and we'll help you out. Which superhero is the best role model for kids and why? Everyone should worship the Scarlet Knight. That way I can make lots of money. got to first and always say, Superman.... he stands for justice. second captain america... he is the ulitimate boy scout too! Superman (Reeve): I know it's a cliche, but the classic Superman films have a sense of optimism that we don't see today. Hopefully kids will see that it's possible to be a hero without using violence. I like the Man of Steel series but he has a sense of darkness I don't enjoy. I'm going with a wild horse choice. Every kids' superhero should be their father. Difficult question. I am not really into movies but I think it should be one that is not only physically strong but kind hearted. Good choices Jeremy. Very uplifting. I agree with the pic, Superman. He's strong, kind, and clean-cut. Superman all the way. No question.